After reading Danny Sullivan’s post about his and Mike Blumenthal’s continued frustration with Google’s Local Business Center and its shortcomings, I went to check the status of my recent attempts to further manage my business listing and its details in Google’s Local Business Center. I haven’t yet been able to locate their policy of allowed terms. 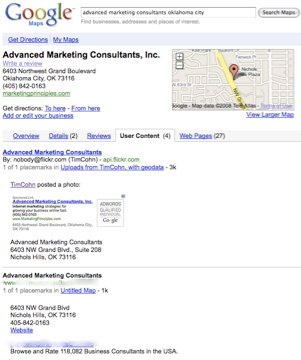 Fortunately and because the Google Local Business Center still has room for improvement – my business listing can be found in a Google or Google Maps search for Advanced Marketing Consultants Nichols Hills, OK. However, so can my competitor’s “listings”. 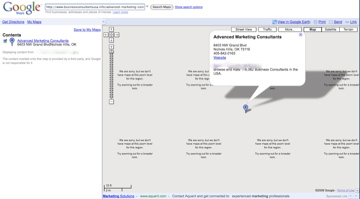 I was even more surprised to find information other than data directly related to my business inserted into both the Overview and User Content sections of my business listing by a “consultants directory” which effectively submarines my listing – not once but three times – all with the same “information” from the same “consultants directory”. I am not sure these are the type of search results Google wanted to see occur when they opened up and allowed “user generated content” within Google Maps – yet these types of results are now appearing there. How long will it take before every business category gets submarined by directories who spam Google Maps with their “Placemarks” on “Untitled Maps” under the auspices of “user content”? I don’t know exactly how Google can stop spammers from generating “Placemarks” on “Untitled Maps” which in turn get published under unsuspecting business owner’s business listings. 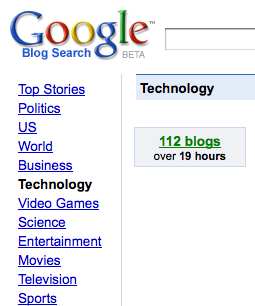 Surely though since Google created the “User Content” system – they can also fix it. Adweek reports Google has had discussions with ad agencies regarding advertisers targeting their ads to iPhone users specifically via Google Adwords. 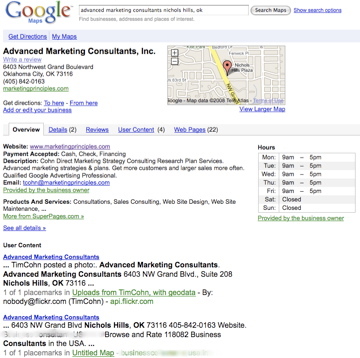 While in Utah yesterday, my fly fishing guide Justin Harding and I noticed when using Google search from his iPhone Google Adwords advertising was sparse. Initially, I thought it was because of the type of search we had ran. However, after further investigative searches under highly competitive and advertised keywords, we weren’t ever able to see Adwords sponsored links on the right rail – only above the first search result. Can a iPhone Google search display more than two Adwords advertisers ads as is now? We weren’t able to generate any. 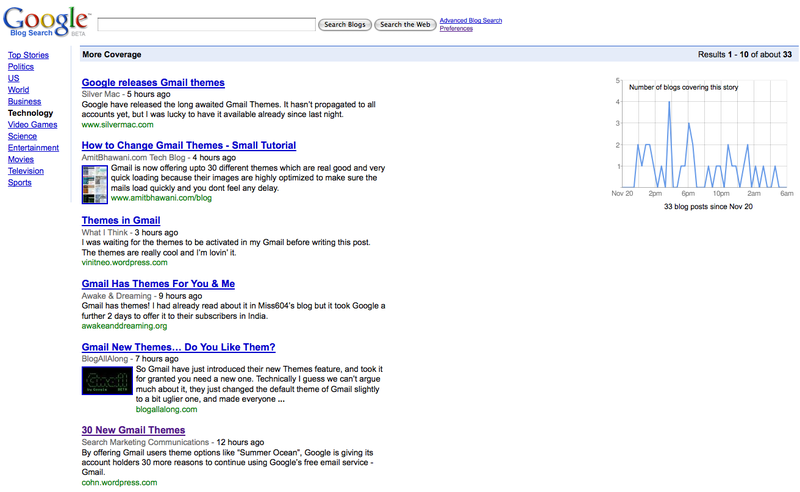 How is Google parsing iPhone search ads results for display? If they are, is Google distributing advertising to the iPhone with the same formula they use for displaying search results elsewhere? Are iPhone screen real estate limitations the reason why we could only get two ads? Even when we rotated the search results screen for horizontal viewing – under a Google search term that would typically have had up to ten sponsored links ( both above the search results and running down the right rail ) we were only able to generate two Adwords advertisers ads. Will Google Adwords advertisers soon be able to select “iPhone” as a search distribution option along with “Google Search” and “Search Partners” within their campaigns Networks and bidding settings? With 10 million iPhones in use and Apple’s iPhone supplying Google with its largest source of mobile search traffic, adding iPhone distribution to Google advertising campaigns will give Google Adwords advertisers another way to target and reach an increasingly mobile search audience. 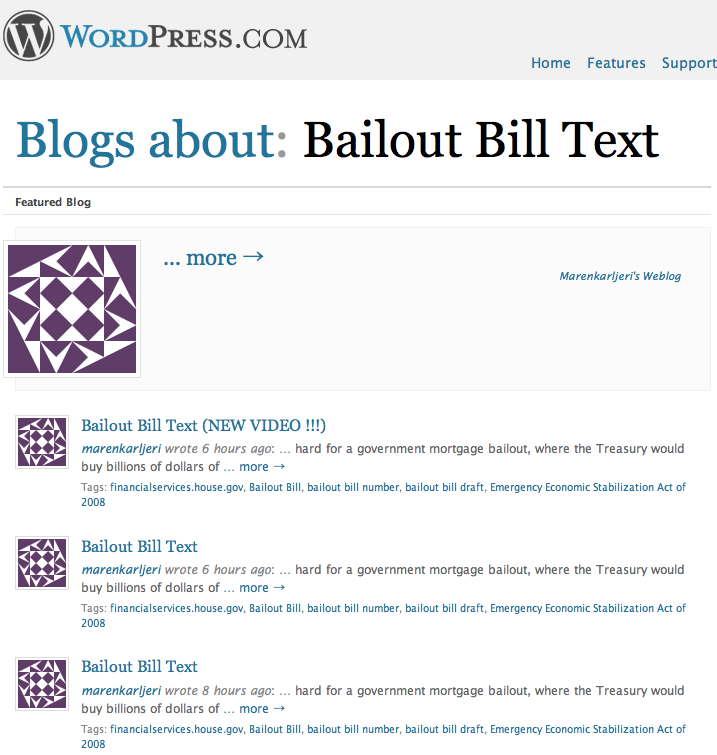 A search today for “Bailout Bill Text” produces a list of WordPress blogs which have purportedly written about the US government bailout of the mortgage industry. Instead, the top four search results WordPress provides searchers who have clicked through to its site are from the same splog. Clicking through to any of the results produces stolen content the splog has scraped into their post combined with an embedded and totally unrelated video. I realize it may be difficult for WordPress to stop the proliferation of splogs and their ilk. However, can’t WordPress at least identify and then filter Splogs from displaying their scraped content within their own search results? Not doing so does both its publishers and the search audience a disservice. 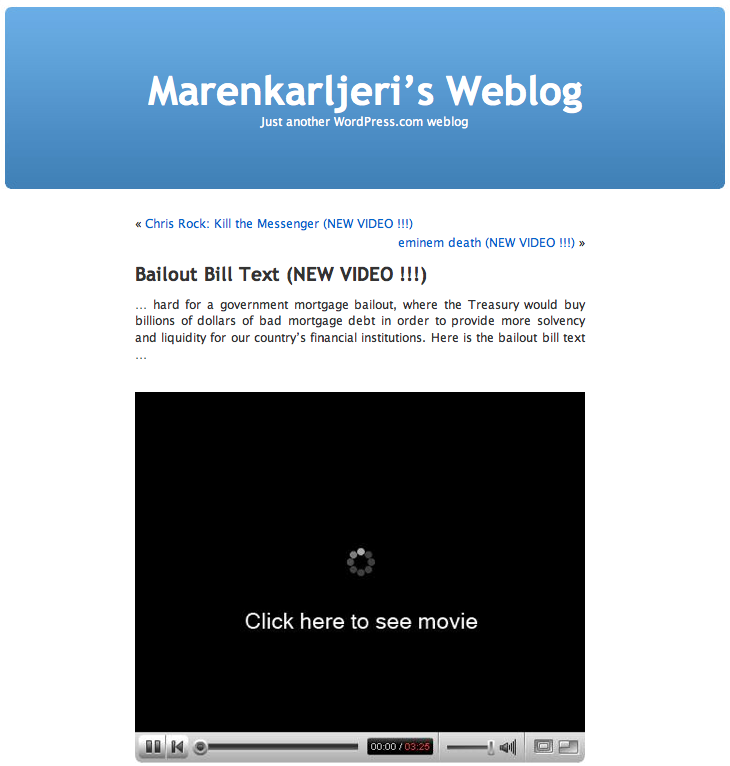 Here is a copy of the Bailout Bill Text.